Replace your mascara after 2-3 months. Lipstick should be replaced after about a year. We know these rules for makeup but what about hair care? A good rule of thumb is switching up your routine seasonally. Different weather impacts hair in different ways. It’s not as definitive of a rule because hair care really depends on everyone’s personal situation. If you color your hair your products will vary from those who don’t. If your hair is natural, they make products specifically for you. Dandruff calls for different treatment than oily hair and thin hair needs attention that thick hair doesn’t. When it’s as variable as it is we need to look at overall rules that can be customized depending on an individual’s needs. We did the work for you, Besties! Basics to keep your hair looking anything but. The weather is chilling, the wind is picking up, and dry air all come along with this beautiful season. However, what it does to your hair is not so beautiful. These factors lead to your hair drying out. Add in the increased use of heat styling products and your once healthy strands become thirsty. Add a moisturizing hair mask to your weekly routine. Yes, it really can be that simple! Here at Bubbles, we love products that give you the most bang for your buck so we recommend Pureology’s Colour Fanatic Instant Deep-Conditioning Mask. Combine moisture with heat protection, color maintenance, and static reduction and we are 100% here for this product! Fun Fact! Natural products are less likely to strip your hair of the good oils like synthetic products do. Feel good about what you’re using on your head by switching it up to products that are made up of natural ingredients. If you’re looking for a great line for natural ingredients, look no further than Pureology. Many of their products are made with 100% vegan formulas and it’s super concentrated so even a little bit goes a long way. Saving you money where we can, Besties! You know the Friends episode where everyone goes to Barbados and Monica’s hair poofs up? She screams, “It’s the humidity!” and the audience laughs along. They laugh because it’s true; humidity ups the volume of hair. In the fall, the amount of water in the air drops causing hair to fall flat. Not to worry, this is definitely something fixable! Volumizing products exists for this purpose. Put a little bit at your roots, blow dry your hair with a round brush (bonus points for doing it upside down), et voilà! Volume coming out the wazoo! Product suggestion – we like Cibu’s Shang High Volumizing Mousse and their High Top Root Booster. They don’t leave your hair feeling dry and don’t feel heavy on even fine hair. You don’t just have to take my word for it either – see them in action! Summer was a time for sand, salt spray, sunscreen, and sweat. Throw in a dash of chlorine and your hair has probably had better moments. This new season brings an excellent time to clean it out and detox your scalp with a clarifying regimen. Be careful though! If you color your hair, traditional clarifying products can strip the color from it. Unless you’re looking to switch up your color all together, be very cautious. Using a clarifying shampoo and conditioner is definitely effective but if you want an extra boost, add a vinegar hair rinse. Used between your shampoo and conditioner, this step removes more impurities, leaving your hair feeling shiny, smooth, and clean. We’re loving Pureology’s Vinegar Hair Rinse! Guess what, Besties? The hair rinse is COLOR-SAFE! Find a sulfate-free shampoo & conditioner and even your color-treated hair can get the benefits of a fresh start. Saying goodbye to summer does not mean saying goodbye to beautiful hair. Fall in love with your hair all over again this season by freshening it up a little bit! New season, new hair care routine. These 4 simple steps will get you ready for anything this time of year has to throw at you. Stop by any Bubbles location for additional tips and tricks customized to your specific hair needs. 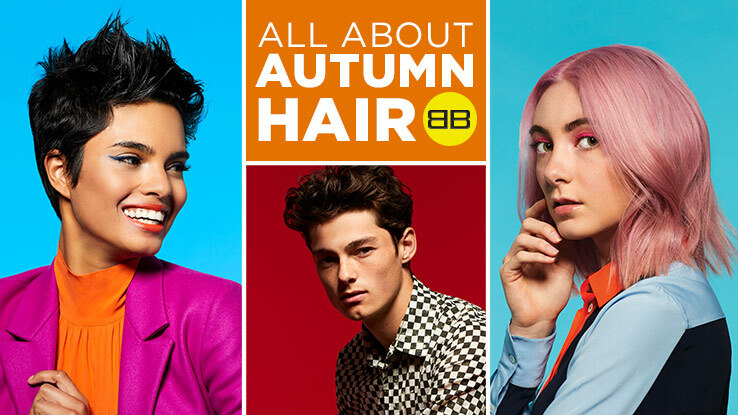 Still looking to get your hair in-season? Check out our Fall Color Playlist for some serious #HairInspo!